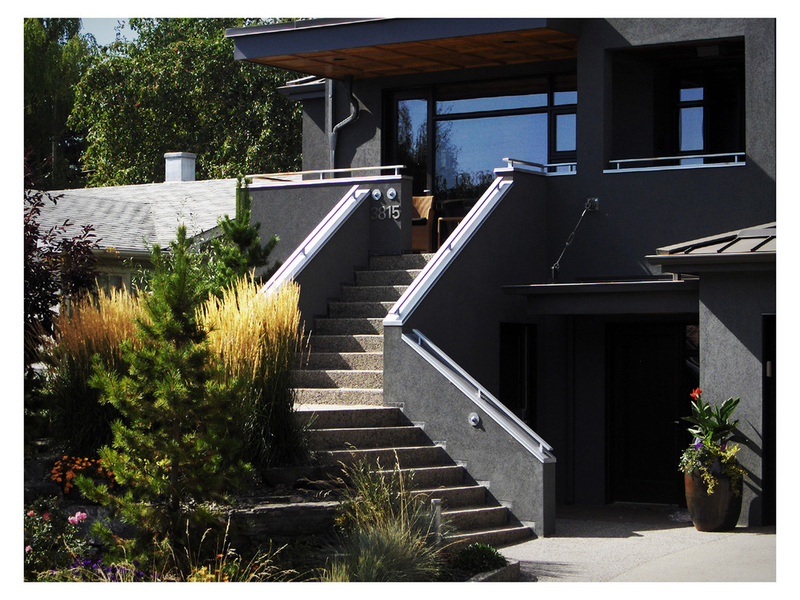 Elbow Park Residence — Bernbaum Architect Ltd. 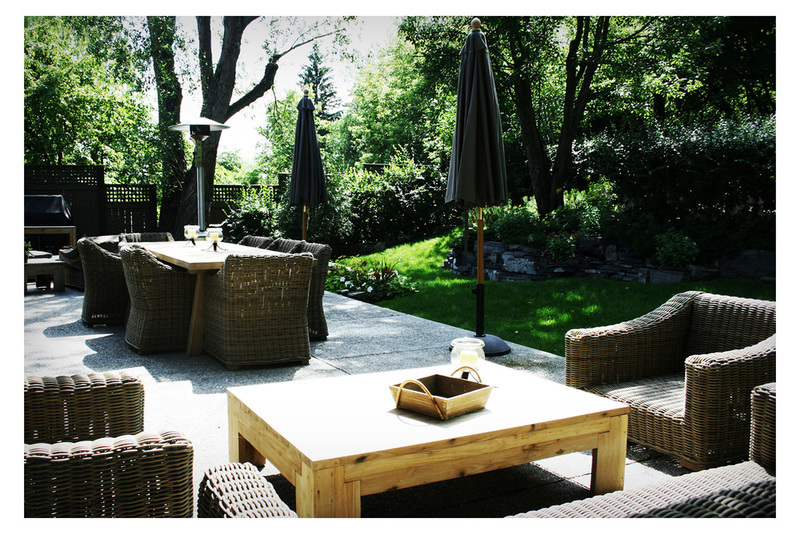 The house is located in Elbow Park on a steeply sloping site backing onto a park reserve and with views of the majority of Elbow Park below. This home is an escape from the city allowing play inside and out with a sports court in the back as well as decks and terraces to take advantage of the wonderful siting. There is a seamless bond between the entertaining spaces, family areas, kitchen and the luscious west facing garden stepping into the hillside. With a central open stairwell, large walls for fine art and colourful feature walls, the home is exciting and at at the same time warm, reflecting the family ideals.